If you want more love, positive relationships, better health and wealth in your life… today’s episode is for you! We are going to talk about the Vacuum Law of Prosperity. As you know, I’m a keen student of the Universal Laws and continue to learn these laws to attract health, wealth and abundance into my life. It’s been a massive learning curve for me, because these teachings are different from the “standard” way of thinking. I’ve had to slowly shift my mindset and open my mind to “possibility”. And see how these laws can really affect my life for the better. I have used these techniques personally to open myself up to abundance. So I wish to share this with you, so that you can experience the difference too. How to forgive, release and let go… so that you achieve extraordinary abundance and prosperity! Before you listen though, if you are new to this podcast and aren’t quite familiar with the Law of Attraction and how your mindset can impact your health, wealth and happiness… please go back and listen to Episode 4 – The Top 5 Law of Attraction Hacks and Episode 13 – The Law of Attraction Success Secrets and Episode 14 – How to Place Your Order with the Universe. After you are up to speed with these concepts, this episode should make more sense. Or you find that your energy is blocked, or you’ve always wanted something that always eludes you… understand that there is something that you’re holding onto that you need to release. Maybe you find that you’ve never been able to find happiness? Or attracting money into your life, has been a struggle? 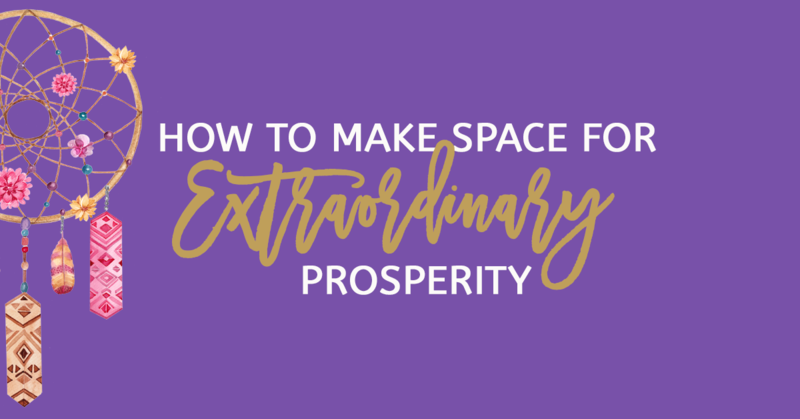 Listen to this episode and you’ll understand what it is that you need to do to start the flow of prosperity in your life! I hope you get a lot out of today’s episode. Hey if you missed out on last week’s episode 024 – The Freedom Business Blueprint… go check it out! Remember, all of the Wild Woman Episodes are crafted to help us on our freedom journey. Whether it’s mental, emotional, metaphysical or financial. Freedom is freedom. Each week, the topics are going to vary, but take each step as it comes and let’s support eachother on this Wild Woman Run Free journey. I am offering the detailed Freedom Business Blueprint – 14 steps to creating a freedom business. So if you haven’t done so already, register your details and you can download it on the home page. I am also now taking applications for business and prosperity coaching, so if you’re a woman who wants to start your own business in 2017, a woman looking to revamp and rebrand your business or maybe you are someone who wants to work on getting past your limiting beliefs with money, reach out and send me an email at Joveline@wildwomanrunfree.com. And finally if today’s episode resonated with you, I’d love to hear all about it. Please review this podcast on iTunes or Stitcher or you can leave a comment on the Wild Woman Run Free facebook page. Thanks again for tuning in! I wish you love, health, prosperity, happiness and most of all FREEDOM! P.S. If you are interested in checking our meditation retreats visit: www.taodelibertadretreats.com.